The Sokkia 8.5-Foot Quick Release Aluminum Prism Pole 51773 offers dual graduations in hundredths of a foot and centimeters along with alternating red and white markings. Surveying professionals will appreciate this prism pole's one adjustable section that extends to 8.5 feet and collapses to 5 feet. 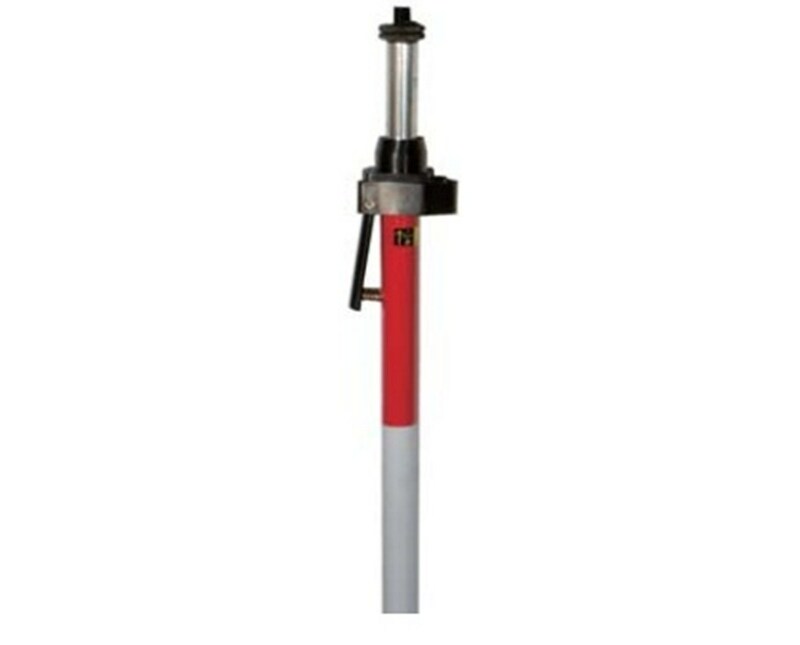 Lock in the length of your prism pole with its quick release lever lock. And mount a prism easily on the prism pole's 5/8 x 11-inch top thread. 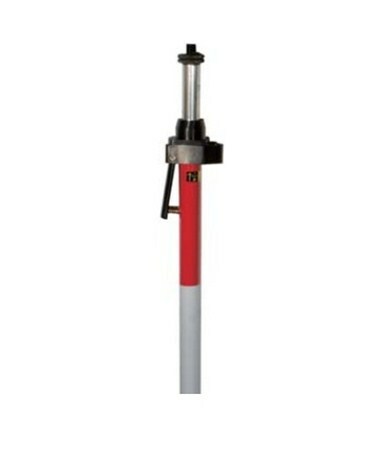 Use the adjustable tip on the bottom to plant the prism pole into the ground. There is also a 40-minute level vial on the side of the prism pole for quick, on-the-job leveling. With wear-resistant aluminum construction, this prism pole guarantees you durable, lightweight performance. A carrying case is included.